For people, who can hardly see any differences among oriental rugs, cost differences strike them odd and excessive, especially when the rugs originate from the same country or have identical size. In reality, the parameters which determine the final price of handmade rugs are plenty and some of them very important for the maintenance of the investment value and the different methods of carpet cleaning. Most Persian rugs are made of wool, cotton or silk and the basic differences in their final price begin with the material you would choose. As expected natural silk is at the top of the list as the most expensive material and definitely silk rugs are the prettiest ones. In some rare occasions, you will find rugs which have been woven with some silver and gold threads but, in this case, the price goes up and these are usually custom made. * It is common sense that handmade rugs are expensive taking into consideration that it takes about four or five years for the preparation of a single one. In fact, the longest it takes to get prepared the greater it costs. So, when you are engaging in residential carpet cleaning, think of the efforts people made for years to complete each knot and the sensitivity of natural materials and be extra careful. * Carpet stain removal is important for the good maintenance of the rugs but the colors must be protected by chemicals or bad quality products. In fact, the price of your rug was high partially due to these beautiful colors. When fixing prices, the number of colors used and the fact that these are natural colors play a significant role. * The number of knots in each square meter of wool rugs would also play an important role to the increase of the price. 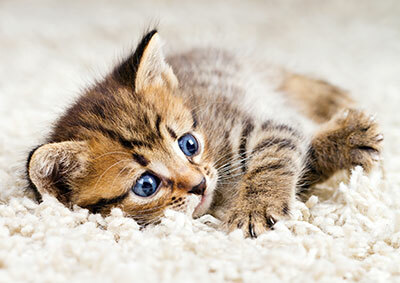 In contrast to common belief, good handmade rugs must have tight density and be thin. * There are beautiful round or oval handmade rugs but if you consider them for your home, have in mind that they are even more expensive due to their strange shape that takes longer to be completed.